Posting a few of my "happy" stamped cards. Have a great day! Seeing these, next to your window, does make me smile! Very cute Barb, especially like that cute little bluebird. :) I haven't made one of those types of folded cards yet. 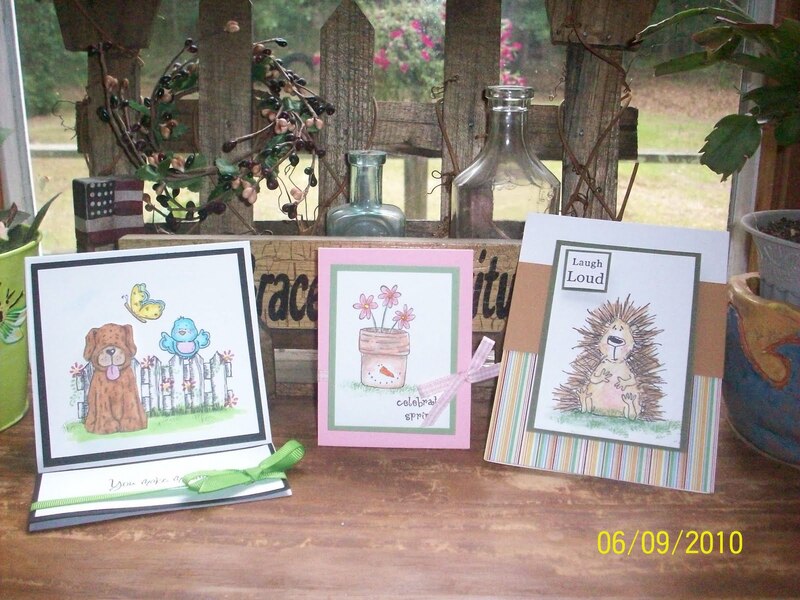 Cute "happy" cards. Like all of your cards, these are *very* special! What sweet cards! You do nice work! I love your cards!!! You are one talented lady!! !